We proud to have AIGA Detroit join us this year at the Detroit Urban Craft Fair. 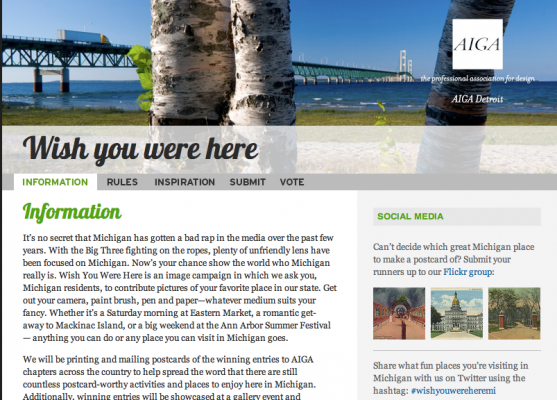 You can visit their booth and learn more about their “Wish You Were Here” Michigan postcard design contest and pick up a pretty nifty souvenir of your own. You can learn more about the contest, and vintage postcard collecting, here.